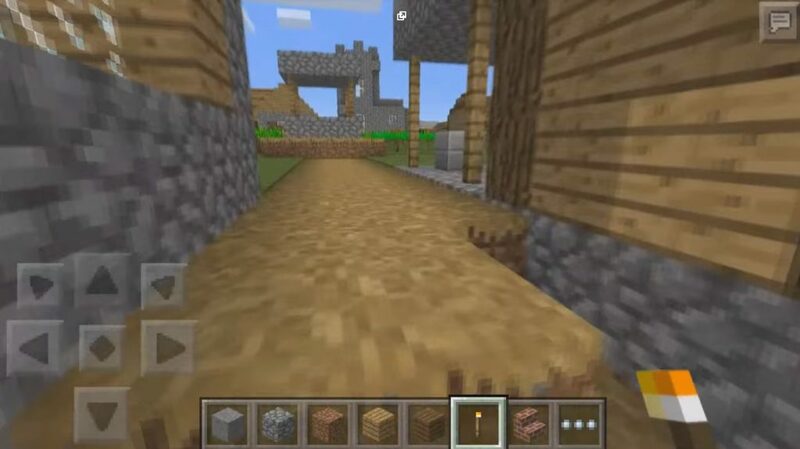 Here before you is a wonderful seed four villages 1.0.4, 1.0.3, 1.0.0. With him you will find an unforgettable adventure to find villages. There you have to find blacksmiths, to see firsthand the meetings and rallies of the residents of the village. And, of course, no one has canceled the chests loved by everyone, without which it is impossible to imagine the lanes. In them you will find a lot of useful items. Now how to find the four villages mentioned above. After spawning you need to go diagonally to the left. And you need to continue the path until you get to the first village. More precisely, there will be three villages at once, since they are very close to each other. 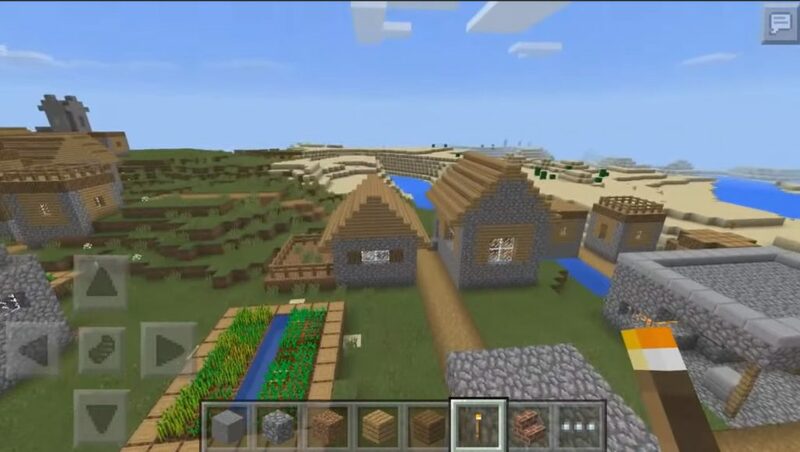 Here and walk yourself in these villages on Minecraft Pocket Edition 1.0. In the second you will meet or rally. This will be a group of standing people. But do not be afraid. This meeting will be a guide for you in the sense that somewhere near there is a blacksmith with a chest. There is also a blacksmith in the third village. To find the fourth village in the lane on the tablet and phone, you should go along the river, as indicated in the second screenshot. The village will be visible almost immediately. In it there will be no blacksmith or chests. But even in this situation it will be interesting in this village. Here you can povyshivat. 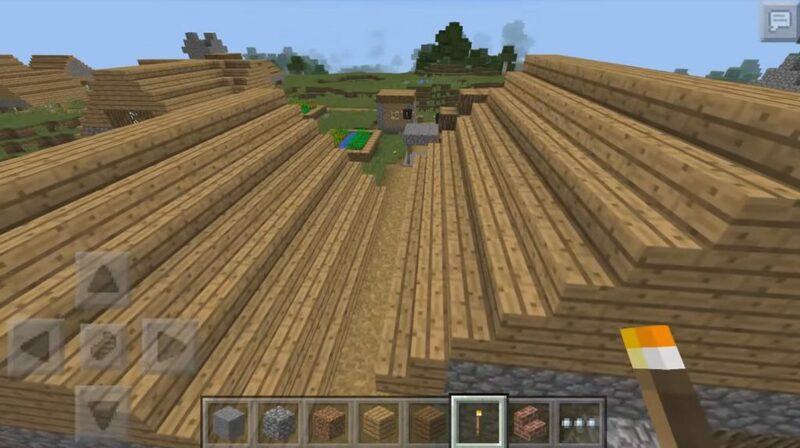 As you can see, four villages for Minecraft PE 1.0.4, 1.0.3, 1.0.0 will really bring you a lot of interesting things. There is survival, and a lot of useful items, and strange gatherings of people you have never come across before. In general, there is something to explore. It will be interesting.